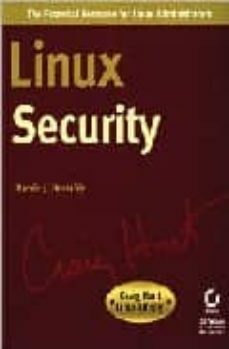 Authoritative Answers to All Your Linux Security Questions—Specifically for Linux Administrators This is the most complete, most advanced guide to Linux security you'll find anywhere. Written by a Linux security expert with over a decade of experience, Linux Security teaches you, step-by-step, all the standard and advanced techniques you need to know to keep your Linux environment safe from threats of all kinds. Hundreds of clear, consistent examples illustrate these techniques in detail†so you stay on track and accomplish all your goals. Coverage includes: Understanding information and system security procedures Developing a corporate security policy Designing and deploying an effective system and network monitoring strategy Managing the network services offered by Linux servers Understanding Sendmail security, including authentication and privacy Providing application-level mail security using PGP Designing and deploying an Apache HTTP server, including SSL extensions Securing your Samba server Building a network layer firewall using IPtables and Linux kernel v.2.4 Using the NEC SOCKS5 transport layer firewall Deploying the TIS firewall toolkit Offering secure remote connectivity with IPsec and PPTP VPNs Adding strong user authentication to Linux servers using Kerberos Understanding the Linux Pluggable Authentication Modules (PAM) Ramón J. Hontanon has worked for more than a decade in the UNIX, TCP/IP internetworking, and information security fields, serving as UNIX application developer, UNIX systems administrator, information security consultant, and most recently senior manager of security product engineering at UUNET Technologies. He has extensive experience conducting security audits for government agencies and financial institutions and designing UNIX-based security solutions aimed at both internal and customer security.